The Beehive is one of my favorite hostels in the world. (Or at least the handful of countries I’ve visited, anyway!) 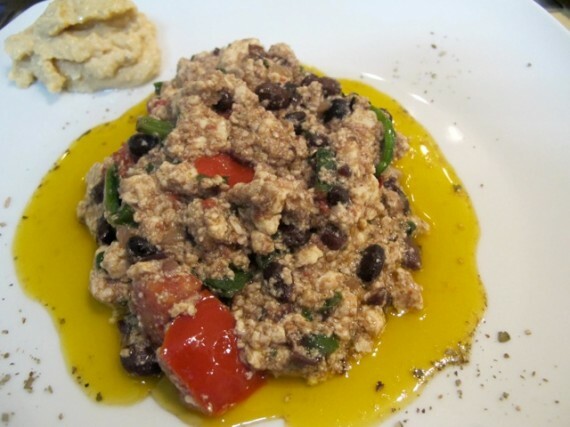 Located just two blocks from Termini Station in Rome, this small hostel is an all-vegetarian oasis. On my first trip to Rome I was lucky enough to stay here because of a last minute cancelation. This past August, even with a month’s notice I was unable to score a spot, so if you want to stay here book well in advance. If, however, you have other accommodation and would just like some yummy vegan food, The Beehive is still a great stop. Unfortunately, due to some bureaucratic nonsense, the only meal The Beehive is able to serve is breakfast, but for afternoon and evening they offer tidbits like fresh bread with hummus and popcorn. Please note that not everything is vegan, but there are several vegan options. today’s field report is by christina, who recently went on a european trip and stopped off in rome, italy for some vegan gelato. i’m jealous! 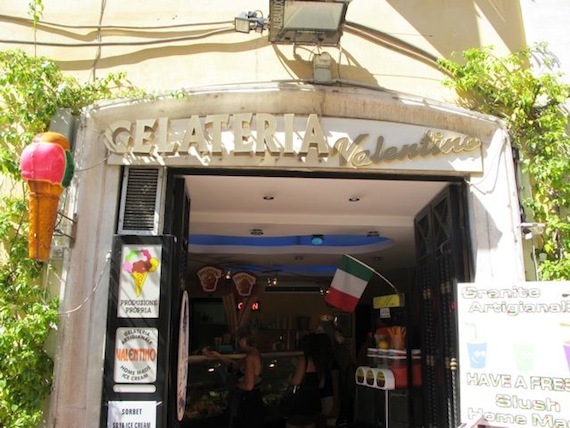 Just a short walk from the beautiful Trevi Fountain is Gelateria Valentino, one of my first stops every time I go to Rome. It’s true that all throughout Italy you can get vegan sorbet, (though you always have to ask which sorbets don’t contain milk–many flavors do, and it varies by establishment.) 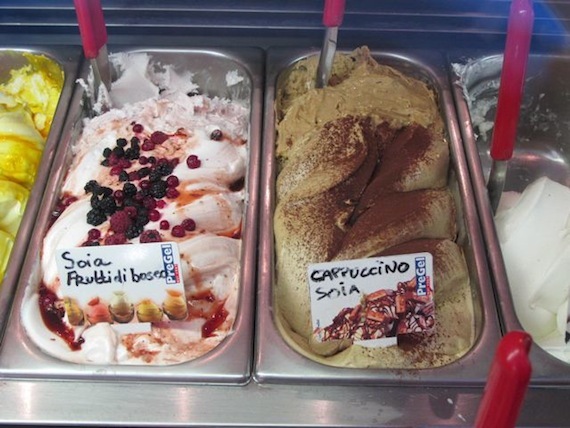 but it’s very rare to find a soy gelato, which makes it creamier and comes in non-fruit flavors.